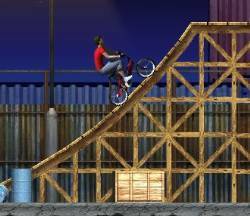 Perform awesome stunts and crazy tricks on a BMX bike. 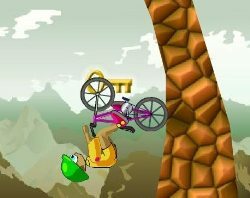 Fly off ramps and do as many flips and tricks as possible to earn points and become the BMX Master. Use the UP ARROW to accelerate and the DOWN ARROW to brake. Use the LEFT / RIGHT ARROW keys to lean backwards / forwards for balance. Use the SPACE BAR to change direction. 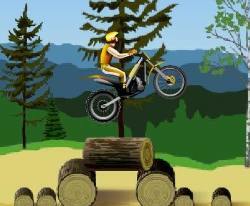 Use the number keys 1 through 8 to perform stunts. 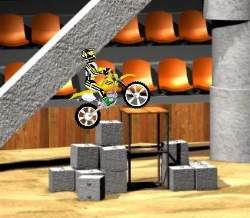 Click here to send BMX Master to your friends using your default email program.